Vaya salon is an upscale Aveda salon located in the heart of downtown Chandler, AZ on the Crowne Plaza San Marcos Hotel property. Our talented professionals are dedicated to providing outstanding customer service in a modern atmosphere. 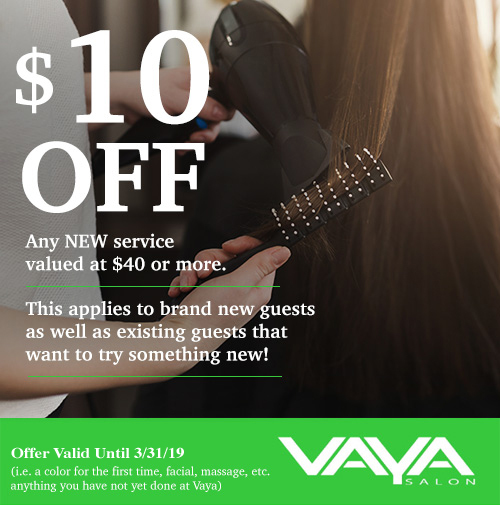 Copyright © 2018 Vaya Salon. | All Rights Reserved.